The concept of cleavage treatment is to fill cleavages within a diamond with materials which have optical refraction similar to diamond. 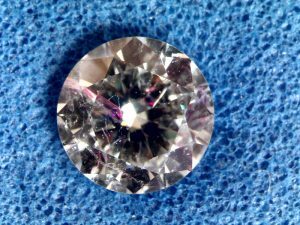 Some diamonds have opaque cleavages which do not allow light to pass through them, and are therefore visible to the naked eye. Injecting special materials into such a cleavage causes it to become translucent, allowing light to pass through it and thereby rendering it transparent, and invisible to the naked eye. Of course, cleavages treated in this manner do not actually disappear; they remain in the stone and retain their actual size and shape, but their visual appearance is dramatically reduced. In order for this process to be possible, the cleavage must be open to the surface of the stone. This opening allows the treatment materials to be injected directly into the cleavages. If the cleavage is not open to the stone’s surface, it is still possible to laser drill a hole from the stone’s surface to the cleavage, and to inject the treatment materials through the drill hole. The success of the treatment depends somewhat on the shape of the cleavages. Most cleavages can be treated extremely well, but if the cleavage has a twisted structure the treatment might be unsuccessful. Usually, those who perform this treatment can accurately predict the likelihood of the treatment’s success. The stability of this treatment is an important aspect of its value. This treatment is stable in most conditions that a diamond in jewelry is likely to experience. 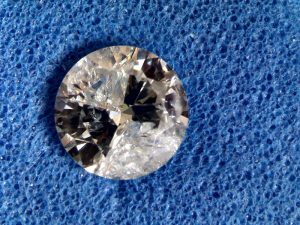 It is stable in ultrasound cleaning, steam cleaning, boiling cleaning, and under stress inherent in setting the diamond into jewelry. However, the treatment is not stable when a jeweler repairs a piece of jewelry by heating it to a high temperature for a long time, when a diamond is recut, or in “deep boiling” processes. However, usually a diamond in jewelry does not undergo these processes. This treatment does not affect the weight of the diamond. The color of the diamond can stay stable or might change in one color grade, and this change does not significantly affect the value of these stones. From the gemological perspective, the clarity grade of a treated stone can improve one to three clarity grades. For instance, an I2 clarity grade can change to an SI2 clarity grade. However, it should be noted that many gemological laboratories, including the GIA & HRD do not certify treated cleavage diamonds, because the treatment is reversible. The Legal Aspect – Whenever a treated diamond is sold, the treatment must be expressly stated. In order to prevent misunderstandings and lawsuits the treatment should be noted on the bill of sale, especially when a diamond is sold from a dealer to a jeweler, and from a jeweler to a private client. In the past, lawsuits have been filed in the United States against jewelers who failed to notify their customers that stones they sold were treated. 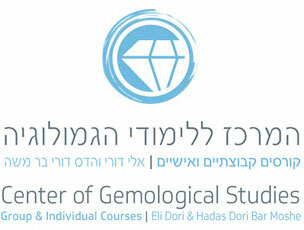 Gemological laboratories that certify treated diamonds note the treatment in the certificate. Other treatments that must be declared include laser drilling and color alteration. Cleavage treatments are widely available in Israel. Typically, if the owner of a stone has it treated, and is dissatisfied with the result, the treatment is reversed and the owner receives a full refund. This treatment costs $20-$30 per carat. Cleavage treatment can substantially increase the value of a diamond, often by as much as 100%. 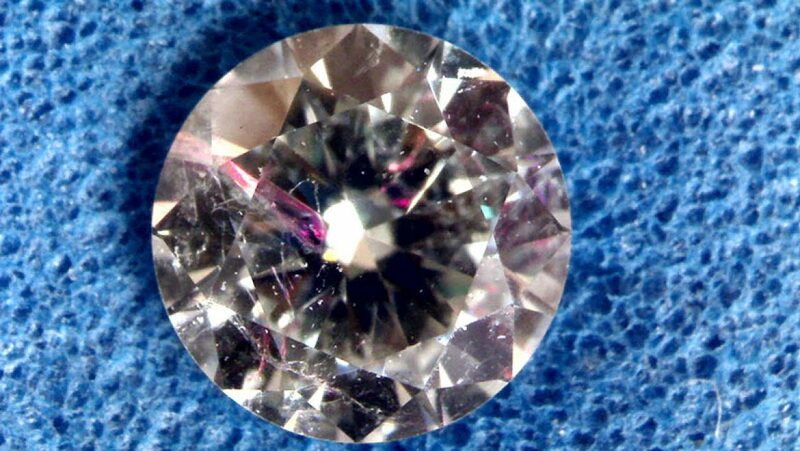 Of course, the worse the condition of the diamond before treatment, the more value can be added by treatment. Cleavage treatment is identifiable using the loupe, the microscope, or sometimes even the naked eye. Cleavage treatment causes the appearance of light to very strong rainbow colors from the profile of the treatment, especially when viewed from the pavilion. These colors are usually purple-blue, green, or yellow-orange, and the colors change as the diamond is viewed from different angles. It is sometimes possible to identify this treatment by the fact that the treated cleavage resembles a fingerprint, which is atypical for an untreated diamond.